Everything in your home depends on the integrity of your roof. If your roof leaks or needs repairs, seeping water can ruin your belongings and cause underlying problems, like water damage and mold. 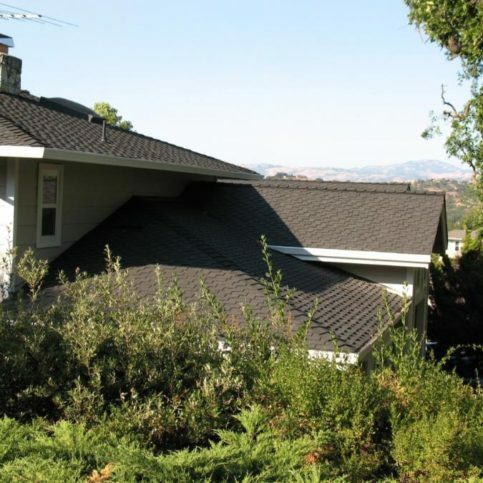 But the integrity of your roof depends on the quality of the San Mateo County roofing company you choose. That’s why it’s important to hire expert roofing contractors who have the skill and experience to install new roofs and repair existing roofs. 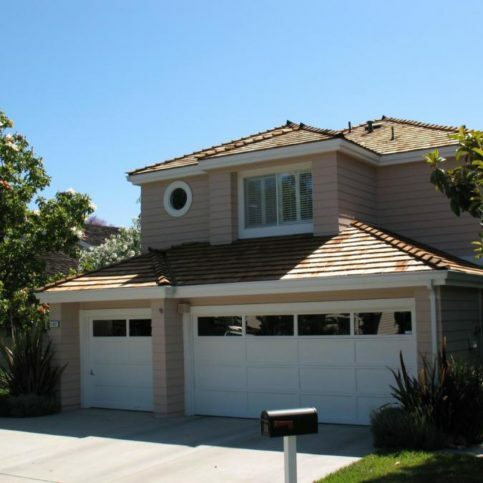 Researching your options will help you find a high-quality roofing company in San Mateo County, including those in the major cities of Daly City, San Mateo, Redwood City, San Bruno and South San Francisco, as well as in the smaller towns to complete your project. Before you start your search, know whether you need roof repairs or want to have your existing roof replaced. Once you’ve narrowed down the reroofing and roof repair services you need, don’t overlook the importance of aesthetics. 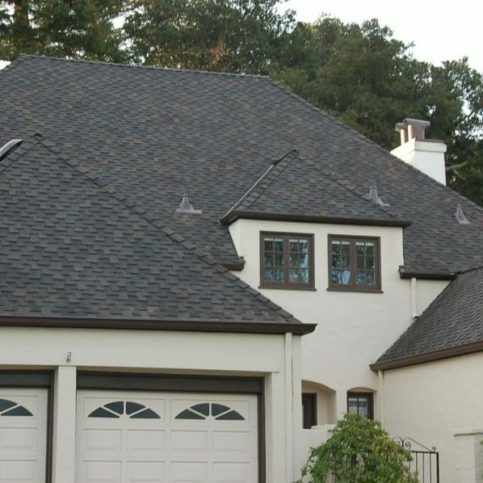 Today there are many choices in roofing materials, including slate roofs, rubber roofing, asphalt shingles, metal roofing, concrete roof tiles and wood shingle and wood shake roofs. It’s wise to match your project to a qualified roofer. 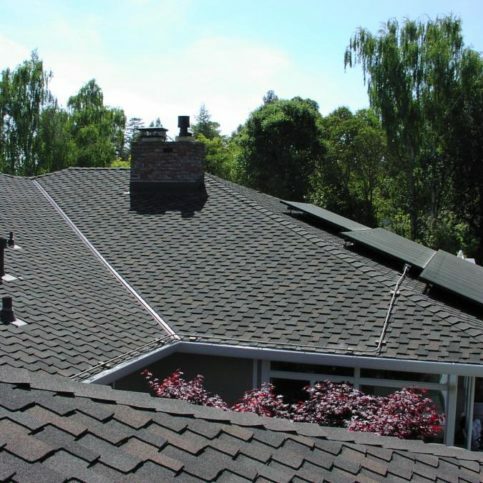 For example, some local roofing companies in the larger San Mateo County cities such as Daly City, San Mateo, South San Francisco, San Bruno and Redwood City specialize in copper roofs and tin roofing, while others are able to install tile roofing and energy efficient roofing. Likewise, commercial and industrial roofing is a specialty. If you need a new roof for your commercial building, be sure the roofing contractor you’re considering is skilled at installing commercial roofs. You should also be ready to discuss a timeline for the project and any expectations you have for the roofing work and the service you receive from the roofers. 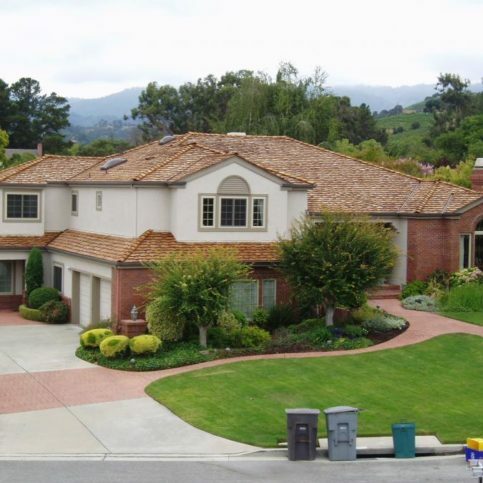 By being prepared, you’re more likely to find the best roofing contractor for your job in San Mateo County, including the larger cities of Pacifica, East Palo Alto, Menlo Park, Foster City, Burlingame and the smaller towns. While it’s best to choose a Diamond Certified company because they’re rated Highest in Quality, that may not always be possible. If you’re unable to choose a Diamond Certified roofing contractor in your area of San Mateo County, you can improve your chances of hiring a good roofing company by checking out candidates on the Contractors State License Board website to ensure active license and workers’ compensation insurance. Violations will also appear on their license record, so you’ll know about recent infractions or serious customer grievances that have been processed by the state. Then take time to verify roofing company credentials. 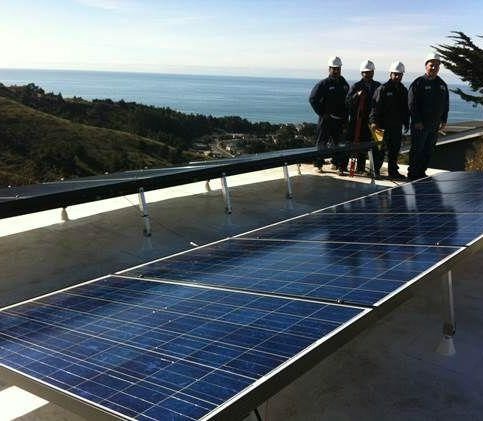 Some local roofing contractors in the major San Mateo County cities of South San Francisco, Menlo Park, Burlingame, San Mateo, Daly City and San Bruno have even earned certifications from roofing manufacturers as authorized roof system distributors and roofing installers who can simplify the entire reroofing and roof repair process for you. Some roof repairs can be quick projects, but large jobs like roof installations and reroofing may take days or even weeks. So it’s especially important to find a roofing company that has roofers who are dedicated to customer service and with whom you can work well. 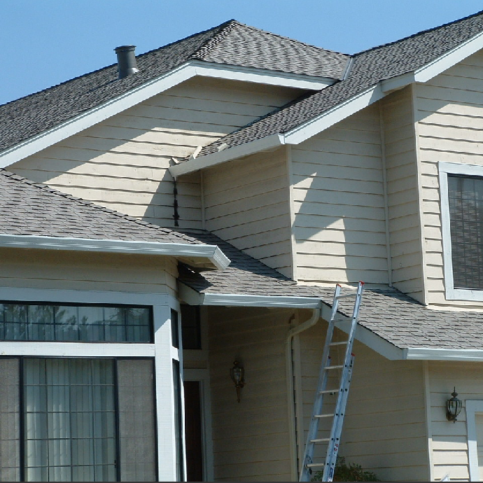 Professional qualities including promptness, friendliness and cleanliness are very important, especially because the roofers will be spending so much time working on your home. Savvy consumers recognize that local roofing companies here in San Mateo County are often their best option when hiring a roofer. That’s because roofing contractors who live and work in the local area may be most likely to offer quick emergency roofing repairs and reliable service for roofing installation and reroofing. 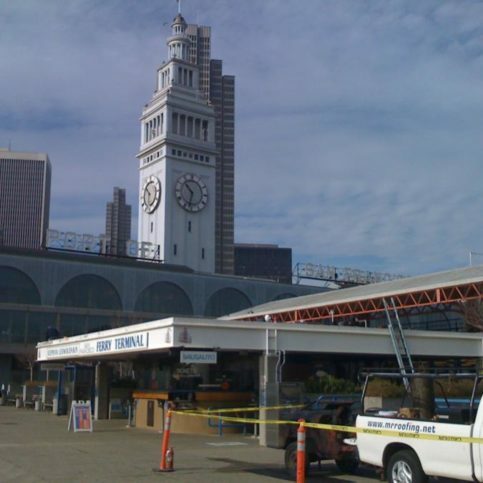 Now that you’ve done some initial research, talk with a few San Mateo County roofers. 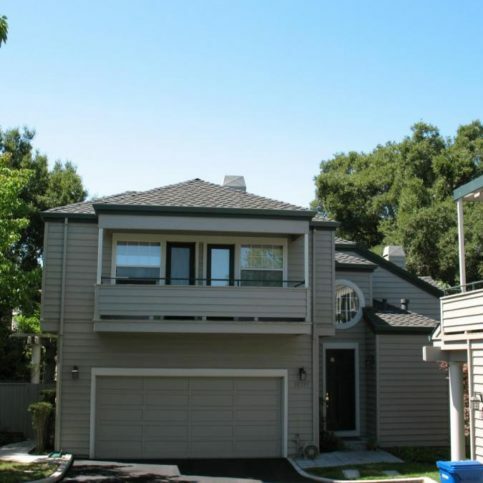 If you live in one of the larger cities, including Daly City, Foster City, San Mateo, South San Francisco, Redwood City or San Bruno, you will find many good roofing companies to choose from. 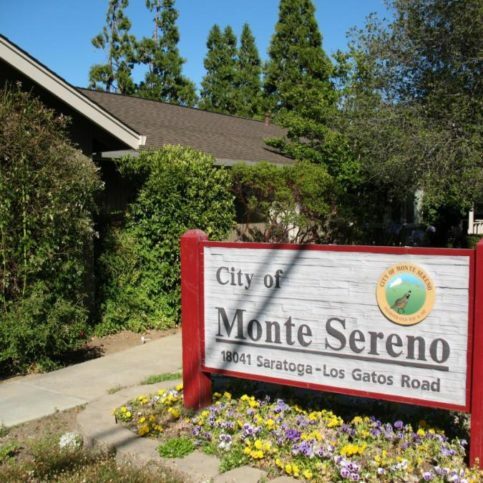 If you live outside these areas, keep in mind that many roofers are willing to travel to other parts of San Mateo County, including the smaller towns of Graton, Occidental, Bodega Bay, Monte Rio, Camp Meeker and other areas including West County. When you interview the roofing companies, have a written list of questions and write down the answers. Remember, though, many roof contractors will not provide estimates over the phone without seeing the job first. However, don’t feel obligated to set an appointment for an estimate if you weren’t impressed with your initial contact with the roofers. If the local roofing company representatives you’ve talked with don’t meet your expectations or can’t answer your questions satisfactorily, feel free to end the conversation and move on to the next good roofers on your list. Why Trust Diamond Certified Roofing Companies Rated Highest in Quality? 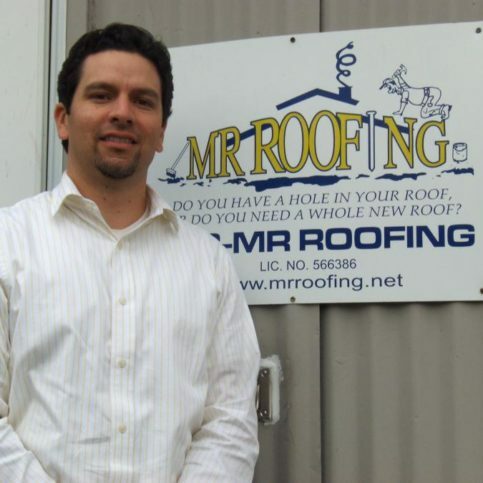 Carlos Rodriguez is a 25-year veteran of the roofing industry and president of Mr. Roofing, Inc., a Diamond Certified company since 2009. He can be reached at (650) 605-3927 or by email. A: La Taqueria on 25th and Mission in San Francisco. A: Yes, I played football and basketball. A: Tacos—they’re great any time of day, any day of the week! 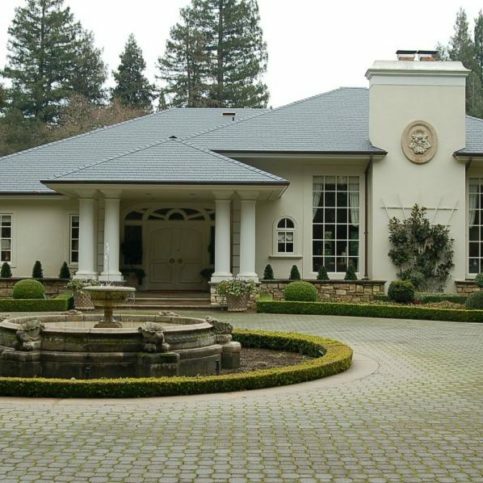 Cameron Radonich is marketing director at Los Gatos Roofing, a Diamond Certified company since 2005. He can be reached at (408) 256-3960 or by email. A: The Oakland A’s and the San Francisco 49ers. A: The past—there are parts of history I’m fascinated with and would like to see firsthand. A: A 1968 Ford Mustang Fastback. A: Any kind of ball—baseball, softball, tennis ball, whatever. A: Air Jordan basketball shoes. I have about 30 pairs! Alex Oceguera is a veteran of the roofing industry and CEO of Cosmos Roofing, a Diamond Certified company. He can be reached at (408) 215-1158 or by email. A: It depends. When the situation demands it, I’m an early bird; otherwise, I’m a night owl. A: It’s a tie between carrot cake and lemon meringue pie. A: Books. I have a lot of them. 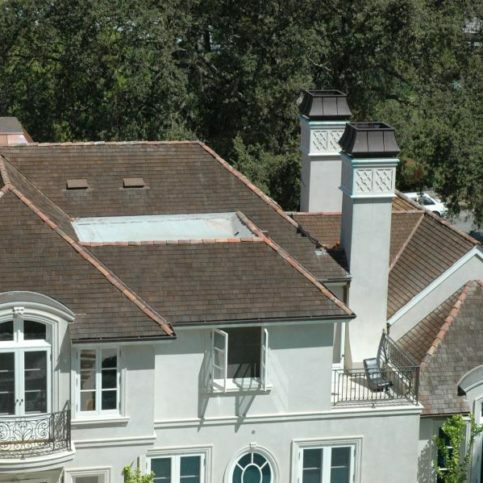 Los Gatos Roofing worked on this tile roofing project. Bay 101 Roofing employees remove a customer’s old roof. Do I need a new roof or roof repairs? What is my budget for roofing repairs and reroofing? Is there a specific roof color or roofing material I’m interested in? Are there any details that may make my roofing project more complicated or need to be taken into account during the planning (i.e. a steep roof, multiple dormers, a narrow driveway that may be a problem for supply trucks, a short timeframe in which I need my new roof or roof repairs completed)? 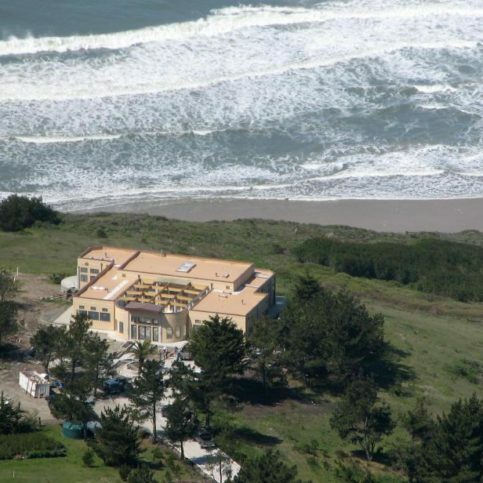 What characteristics and qualities do I want in a San Mateo County roofing contractor? This may include timeliness, reliable follow-up services, emergency roofing repair services, good communication skills, etc. If you have a list of prepared questions to ask the roofing contractors you interview, you’ll get better results. Having prewritten questions will keep you on track and will make sure you ask the questions that are most pertinent to the success of your job. Write down the roof contractors’ answers and note their tone and the general feeling you get from your time with them. 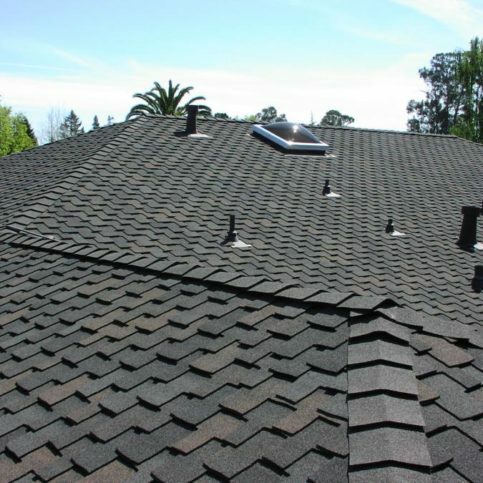 This will help you narrow down your choices and pinpoint the best local roofer in San Mateo County for you. How much time will the job take, from ordering the new roof tiles or shingles to completion of installation? Will I be able to stay in my home during the roofing installation? 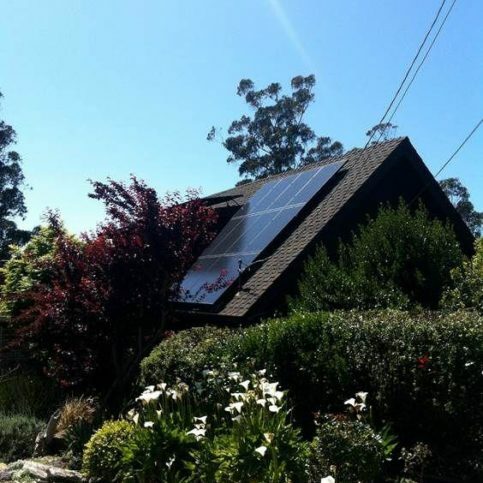 Is the new roof energy efficient? Will it reduce my electric bills? 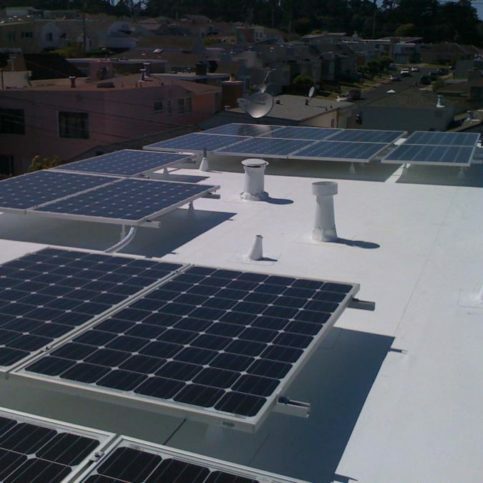 Do you have any recent projects in my area of San Mateo County where I can see how the roof installations look from the street? How would I handle future service issues? Are you responsible for warranty work if there’s ever a problem with my new roof or reroofing? What can I do to make the roof installation process easier? It’s best to choose a Diamond Certified roofer because all certified companies have passed an in-depth ratings process that most other companies can’t pass. 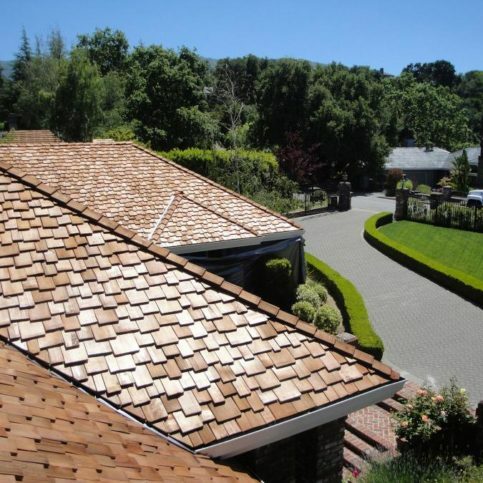 If you want quality from a roofer in San Mateo County and the greater Bay Area, you can have confidence choosing a Diamond Certified company. Diamond Certified reports are available online for all certified companies. And you’ll never be fooled by fake reviews. That’s because all research is performed in live telephone interviews of actual customers. Were you satisfied with the roof installation and the customer service from _(roofing company name)_? What was the type and scope of job they did for you (reroofing/roof replacement, roof repair, roof weatherproofing, roof leak repairs, etc.)? 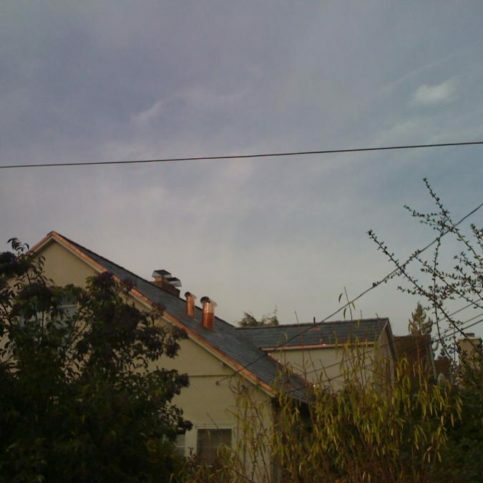 Did the San Mateo County roof contractor you hired complete the work on time? 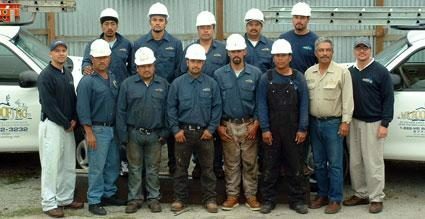 Did the roofing company employees show up on time? Did the employees clean up after finishing the window installation? If you need a new roof or roof repairs in the future, would you use this roofing contractor again? Can I visit your home to see the completed roof installation or roof repairs? Can the local roofing contractors meet your needs in terms of scheduling, products and installation preferences? 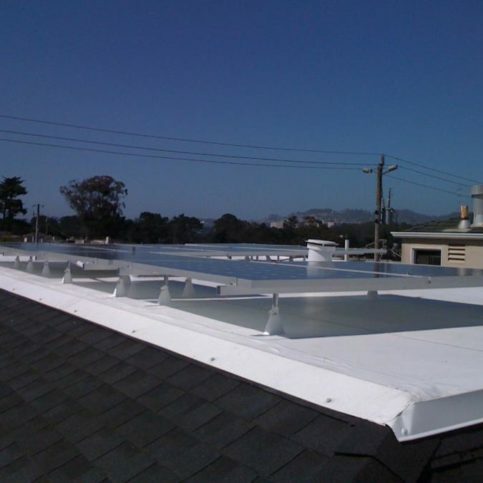 Are the San Mateo County roofers knowledgeable on the products they sell and install? Can the roofing company liaison tell you which roofing services and roof products best suit your needs and why (i.e. roof leak repairs, roof panel replacement, aluminum roofing, corrugated roofing, membrane roofing products, ceramic tile roofing, wood roof shingles, etc.)? Is the roofing installation company sensitive to your budget? Can they offer various products that fit your resources? Most contractors will give you bids for good, better and best options that include choices of products, design and aesthetics, prices, brand names/manufacturers and roofing services. 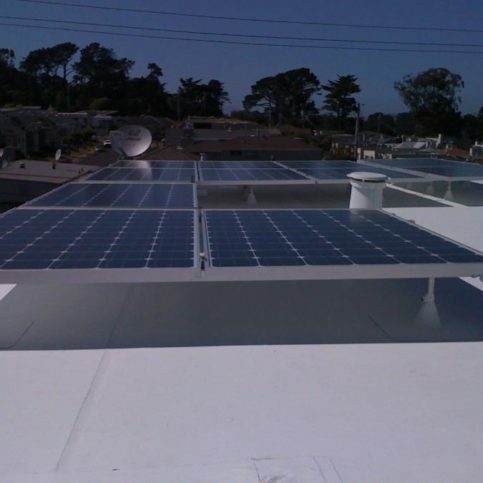 Do the roof contractors in San Mateo County offer warranties in the event of a product failure or installation error? Will they put these guarantees in writing? You may also want to examine your own expectations for your new roof, realizing that not all may be possible. For instance, when having a new roof installed, it may not be reasonable to expect an uninterrupted schedule or a quiet worksite. So talk with your roofing contractor about what you can reasonably expect while the roofers are working on your home. You are more likely to be satisfied with the completed product and the work while it’s in progress if you go into the job with fair expectations. 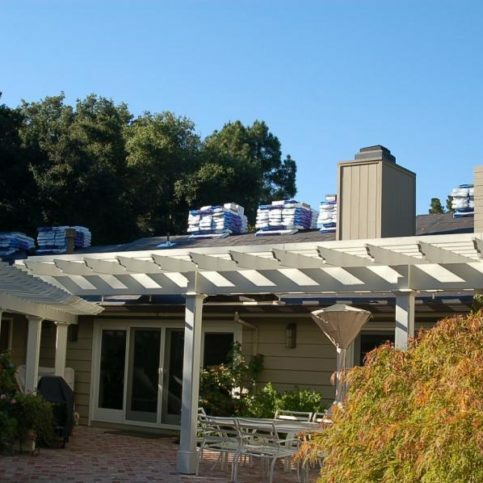 The best roofing contractors in San Mateo County, including those in the larger cities of San Bruno, Foster City, San Mateo, Daly City, Redwood City and South San Francisco and even some in the smaller towns, can be selective about which roofing jobs they take. That’s because not every roofing company is able to handle every kind of roofing repairs or roof installation job. So it’s important to look for the high-quality roofing contractors that have the skills and ability to do the roofing work you’re looking for. Once you’re narrowed down your choices by interviewing roofers, meet in person with the roofing estimator at your home for an on-site estimate. Discuss what you are looking for in your new roof or roofing repairs, and listen to their suggestions of materials and styles. You may want to get several estimates, but limit it to a small number provided by the best roof contractor candidates. Roofers appreciate knowing that you’re looking for good service and fair prices rather than the lowest-cost roofing you can find. This will also improve your chances of finding a quality roofer who really understands their trade and provides the best quality workmanship on roofing installation and roof repairs. Now that you’ve found the roofing contractor that’s best for you, it’s the perfect time to ask for a written contract that outlines the details of your roofing job. The contract should include the cost of the job, details about the materials to be used and installation information, such as the projected start and end dates. Read the entire contract and be sure you understand all the terms and limitations before you sign. 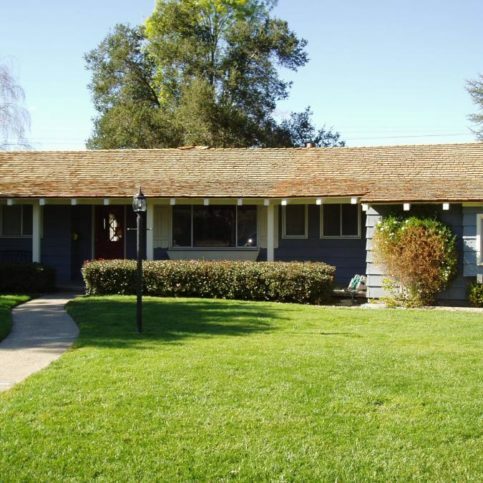 Once you’ve signed a contract with a San Mateo County roofing company, you have committed to abide by the information within the contract, so for your protection, never sign a blank or incomplete estimate. Remember, the contract is there to protect you and your roofing contractor. So it’s advisable to write in any verbal agreements or special requests that you’ve confirmed with your San Mateo County roofer. This includes any special agreements you’ve reached, such as reasonable expectations for the care of your home and yard during the roofing installation process. How Can You Be a Good Roofing Company Customer? It’s the roofer’s responsibility install quality roofing products using the best possible installation techniques. But you play a big part in the success of your new roof installation, too. Here are a few simple steps you can take to be a good customer when hiring a San Mateo County roofing contractor. Be clear and upfront with the roofers. Let them know what you want from your new roof, the long-term outcome you’re expecting and specific ways they can satisfy your expectations. 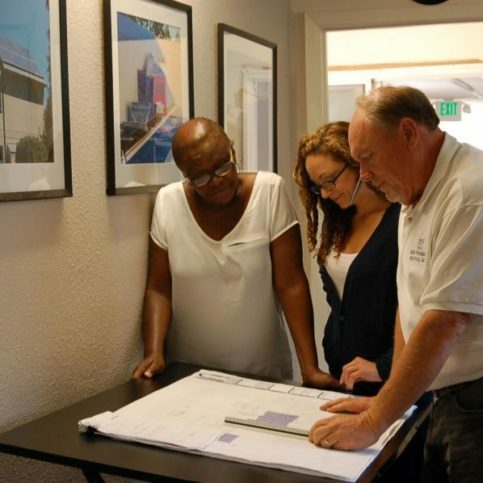 Before you hire a roofing contractor in San Mateo County, restate your expectations and goals, and reiterate to the roofing company representative your understanding of the agreement. Most problems with local roofers occur because of a breakdown in communication. By being clear about your expectations and theirs, you can avoid most conflicts. Ask your roofing contractor if you should call to check on the progress or if he will call you with updates. Be sure the roofing company service representative can reach you at all times while they’re reroofing your home or completing your roofing repairs. The work will move along more smoothly if your roofer can reach you for any necessary updates, questions or work authorizations. When your contractor contacts you, return calls promptly to keep the roofing installation and repairs on schedule. Pay for the roofing work promptly. Why would you want to be a good customer? 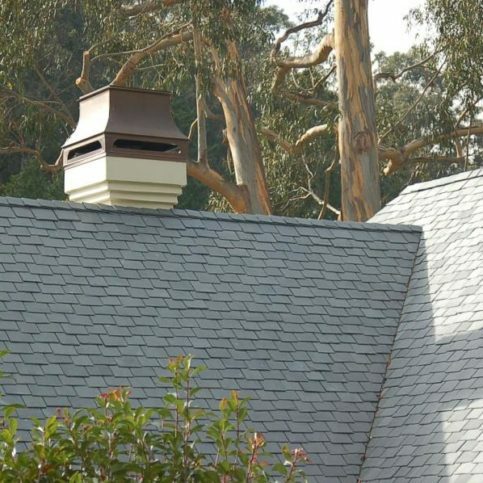 Roofing contractors in San Mateo County appreciate customers who are straightforward, honest and easy to work with. Your good customer behavior sets the tone from your end and creates an environment conducive to a good relationship. Things may very well go smoother and any problems may be more easily resolved. Before the work has begun and while it’s in progress, keep in mind ways you can make the job easier for your roofing contractors. 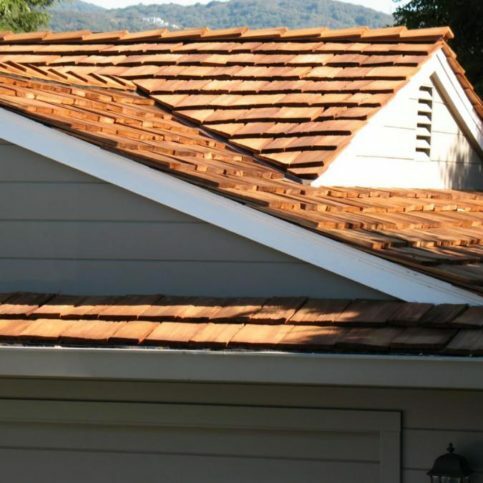 While the San Mateo County roofing contractors you’ve hired should be professionals who are able to deal with difficulties and unexpected situations during roof construction, you can take small steps to simplify the work. Not only will this create an atmosphere of cooperation and goodwill, but it can also save you money by preventing unnecessary delays and extra work. Before the job starts, survey your property for any potential challenges that may make the job harder for the roofing contractors or that may add time to the job. This may include low hanging tree branches near the roofline, trees or shrubs that make it hard for the work trucks to enter your property or get close to the work site, or lawn furniture or ornaments that may be in the way of the roofing contractors. You may even want to plan a pre-work walk-through with the roofing company foreman to locate challenges they may see. Keep children and pets away from the worksite. Not only is it unsafe for your loved ones to be near the construction site, it also can also add time to the job if the roofers need to be cautious to avoid injuring pets or children. If you have pets that use the yard near the roof construction area, take them out on a leash while the roof installation work is going on so that the roofers don’t need to worry about closing gates behind them. 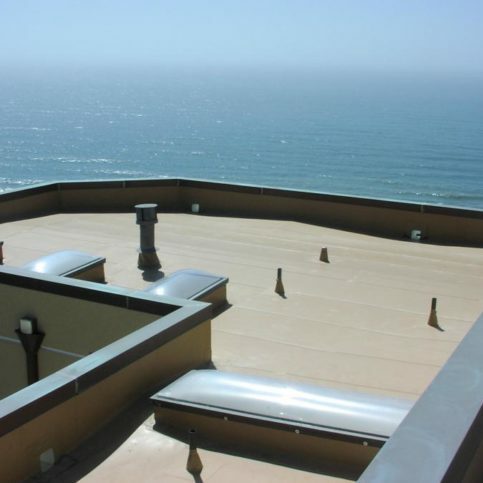 Ask your San Mateo County roofing professional what you can do to simplify the job for them. In some cases, it may be easier for you to take care of tree trimming, roof cleaning or moving vehicles before the construction crews arrive and it may save you time and money in the long run. Make sure your roofing company has contact information where they can reach you at all times, such as a cell phone or work phone number. This can limit costly delays if they need to reach you with updates, questions and authorizations for unforeseen situations. The name, business address and state license number of the roofing company. A detailed list of all work performed. 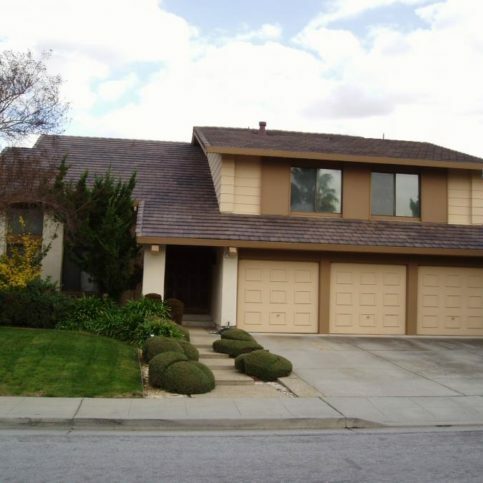 An itemized list of roofing products and roof replacement parts used. The total cost for the roof repairs or total reroofing, including the amount due for labor. Written proof of all warrantees and guarantees provided by the roofing manufacturer and roofing installers. 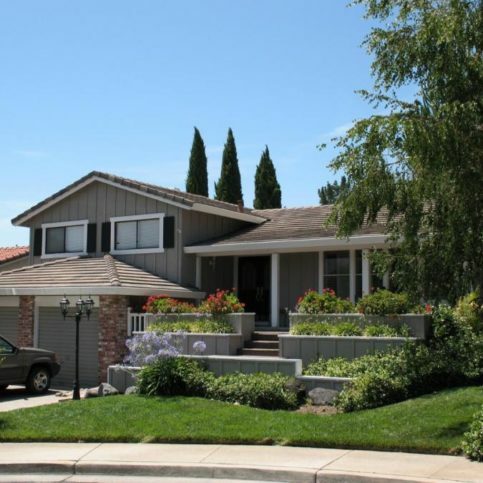 To be sure that all the work lives up to your expectations and the agreed upon work order, ask your San Mateo County roofing contractor to walk through the job with you and show you the repairs and reroofing installation. Check the completed work against the invoice. This is the time to ask any final questions about the completed work and any additional information on maintaining your new roof. The roofing company name and physical address. The work and products covered, including whether the roofing company will repair or replace the roofing products or give you a refund if you have a warranty claim. Your responsibility if you file a warranty claim, such as if you have to pay for labor when filing a claim or pay a prorated amount for repairs. The terms and limitations on your new roof warranties. If the roof warranty coverage is transferrable to the new owner if you sell your home. All exclusions must be in writing to be valid. 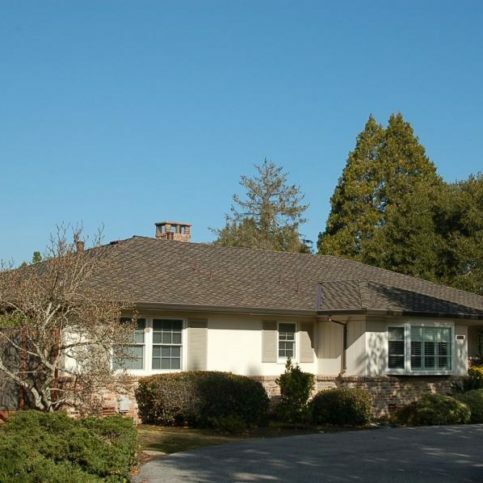 The top 10 requests for new roofs and roof replacements listed below are available in the larger San Mateo County cities of San Mateo, Redwood City, Daly City, South San Francisco, San Bruno, Pacifica, Menlo Park, East Palo Alto, Burlingame and Foster City and all of the smaller towns and West County. See the paragraphs below for the definition of each term. Roof shingles, including those made by Owens Corning, CertainTeed, IKO, Tamco, Celotex and GAF-ELK roofing, are a roofing choice made of individual, overlapping roof shingles. Most are laid in rows with the top shingles overlapping the lower shingles. Roofing shingles are typically made of asphalt, but can be metal shingles, stone shingles, tile shingles or wood shingles. 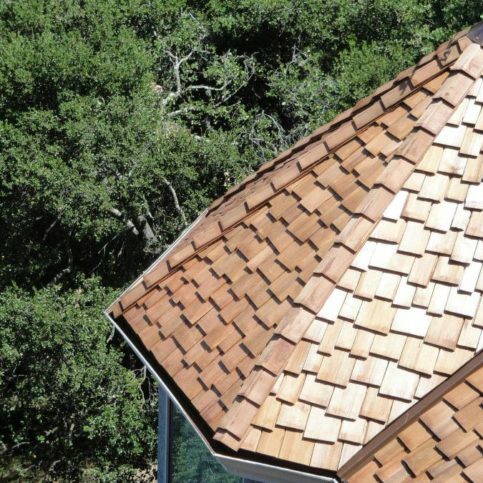 Roof shingles come in a variety of colors and styles. Steel roofs and stainless steel roofing is a good choice for harsh climates and as a design element for modern homes. Most steel roofs are installed as rolled roofing, standing seam roofs or metal shingles. Some steel shingles mimic the appearance of slate shingles, wood shingles and tile shingles with the strength and durability of steel roofing. 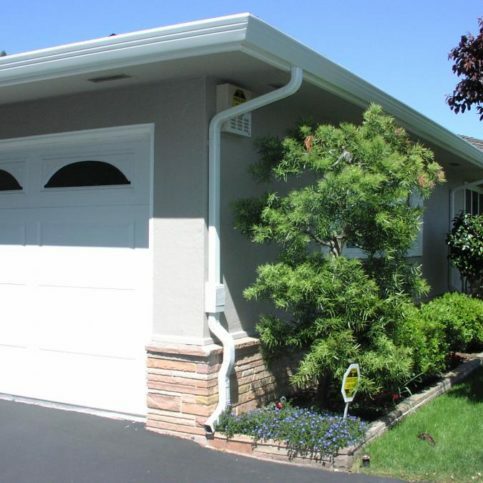 Common roof repairs in San Mateo County including in the larger cities of Menlo Park, Daly City, San Mateo, South San Francisco, Redwood City, San Bruno are required to fix improperly installed gutters, roof leaks, missing shingles, roof flashing leaks, skylight flashing, roof valley flashing, roof ridge vent damage, gutter problems and nail holes. 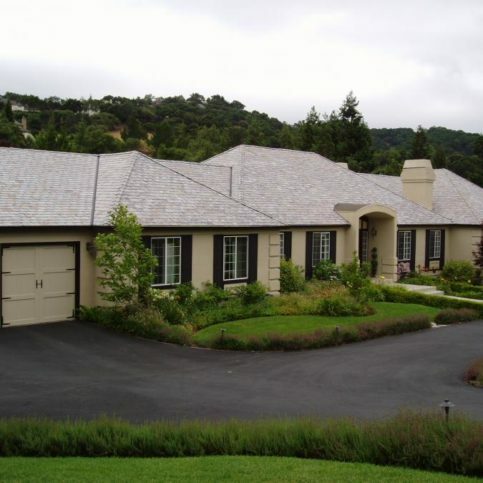 Most roofing contractors in San Mateo County provide emergency roof repairs and roof maintenance. Unlike sloping roofs, flat roofs are horizontal or nearly horizontal to the building. They may be residential or commercial roofs, and are often made of tar and gravel, rubber roofing, membrane roofing or metal roofing. Many buildings incorporate flat roofing so that they can support HVAC systems, living roofs/green roofs and living areas on the roof surface. 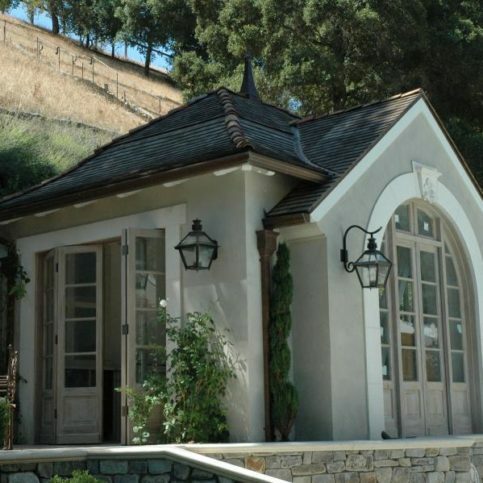 Clay tiles, solar roof tiles, slate roof tiles, concrete roof tiles, plastic tiles, cedar tiles and ceramic tiles are all popular roofing tile choices in San Mateo County. They are long-wearing, unique and often sustainable roofing options. 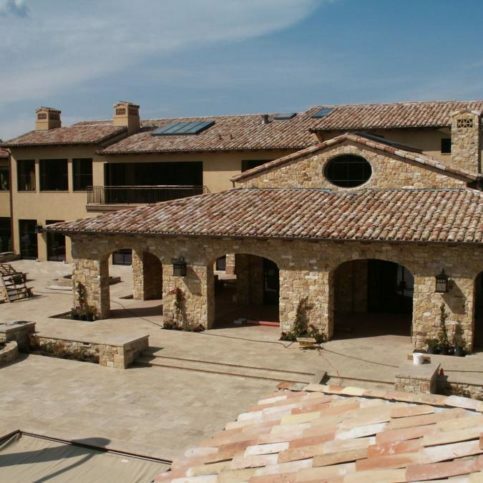 Roofing tiles are available in many styles, including flat tiles, imbrex and tegula tiles, Roman tiles, mission or barrel tiles, interlocking roof tiles, and interlocking pantiles. 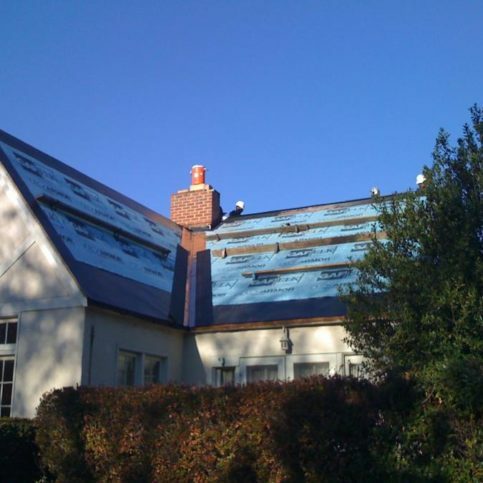 New roof installations on new homes and existing structures are a complete replacement of existing roof structures. New roofs are recommended for existing homes that have leaky roofs that regular roof repairs won’t fix. New roofs are installed by roofing contractors and may include tile roofs, rubber roofs, shingle roofs, wood shingle roofs and metal roofs. Roof replacements are the removal and reroofing of an existing building. Roof replacement is an alternative to roof recovering, and is often called re-roofing or reroofing. Reroofing can change the shape or style of an existing roof, and may incorporate new roofing systems or roofing materials to update and add value to a home or building. Rubber roofing, often installed in rolled roofing form or liquid rubber roofing, is a specialized roofing cover for roof repairs or new roofing. Rubber roofs may be a good choice for roofs that leak or for flat roofs. Rubber roofs are often installed on commercial and industrial buildings, but are available as rubber roof shingles and recycled rubber roof tiles for residential homes. Whether made of corrugated metal or translucent fiberglass, roof panels are good choice for homes, greenhouses and patio covers. Metal roof paneling comes in a variety of colors and styles. Roof panel installation is often quick and attractive, and the lightweight panels are a good choice for commercial or residential roofing. Metal roofing is a popular choice for its durability, flexibility and number of colors and styles. Once known as tin roofs, metal roofing is available as copper roofing, aluminum roofing, steel roofing, stainless steel roofing, corrugated roofing, standing seam metal roofing, metal shingle roofs and metal panel roofs. Metal roofing is weather resistant, lightweight and portable and is often used on residential buildings, commercial buildings and industrial buildings. 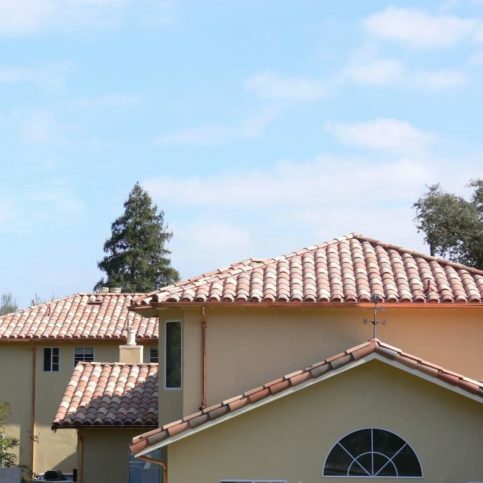 The following roofing brands are some of the most popular roofing manufacturer products installed in San Mateo County, including in the major cities of Pacifica, East Palo Alto, Menlo Park, Daly City, San Mateo, Redwood City, South San Francisco, San Bruno, Foster City and Burlingame. The roofing terms below will help you better understand the roofing construction and roofing repair process and will allow you to better communicate with your local roofing company. Aggregate roofing is used as surfacing or ballasting for a roof system. Aggregate can be stone, rock, crushed stone, gravel, crushed lava rock or marble chips. Base flashing is the roof flashing that is created by the upturned edges of a roof membrane. 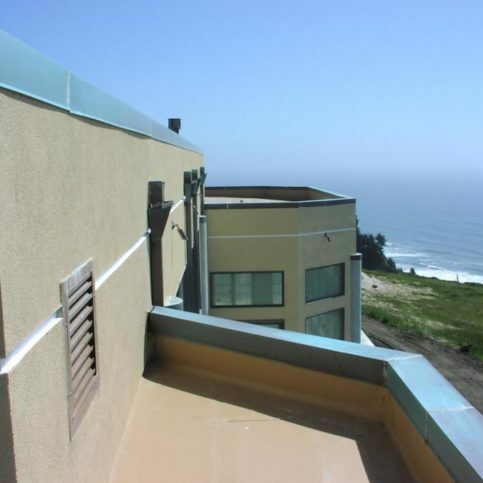 Base flashing is usually attached to or resting on the roof deck and directs water onto the roof. A built-up roof is constructed with several layers of felt and asphalt. Each layer is topped with hot tar or asphalt. The topmost layer is covered with mineral or rock. Corrugated roofing is generally sheet metal roofing that has been folded into ridges. Corrugated roof panels are easy to install and easy to maintain. Flashing attached to a vertical surface that prevents water from seeping into the roof is known as counter flashing. Counter flashing is often used to waterproof the roofing around chimneys and pipes. Eaves flashing is an additional layer of roofing material installed at the roof eaves to prevent water damage from rain seepage. EPDM roofing is a synthetic rubber roof product made of ethylene propylene diene monomer. EPDM roofing is primarily a commercial roof covering that can withstand weathering, abrasion and extreme temperatures. Horizontal trim at the eaves that covers the rafter ends is called fascia. Roof fascia runs horizontally across the ends of the roof rafters to form the edge of the roof. Fascia is placed above the soffit and below the roofline. Roof flashing, usually made of metal sheeting or roll roofing, is installed to prevent rainwater from leaking into a building around joints or vents, pipes, chimneys, walls, dormers and roof valleys. Most roof flashing is made of galvanized steel. The upper part of a wall that comes to a point at the ridge of a sloping roof. The roof ends and walls create a V-shaped feature. Gable roofs are peaked, sloping roofs that form a gable at both ends. Gambrel roofs have two sloping planes of different pitches on either side of the roof ridge. The lower plane of a gambrel roof has a steeper slope than the upper slope. Gambrel roofs have a gable at each end. A four-sided roof with sloping sides and ends is known as a hip roof. Interlocking shingles are individual shingles that mechanically fasten together to provide stronger wind resistance. Strip shingles with more than one layer of tabs that create extra thickness are called laminated shingles. A hip roof with two slopes on each side is referred to as a mansard roof. This type of roof contains two sloping planes with different pitches on each of the four sides. The lower sloping roof plane has such a steep pitch, it may appear vertical. Mansard roofs have no gables. Metal roofs are found on commercial and residential buildings. Metal roofs are made from metal pieces, metal tiles or metal slabs. Metal roofs are resistant to weather and temperature changes and are known for their longevity. Installing a new roof system over an existing roof without removing the existing roof is referred to as roof overlay. Roofing overlay is generally a more cost-effective way to install a new roof, since it doesn’t include costs of roof removal. Constructing a roof on an existing building is referred to as re-roofing. 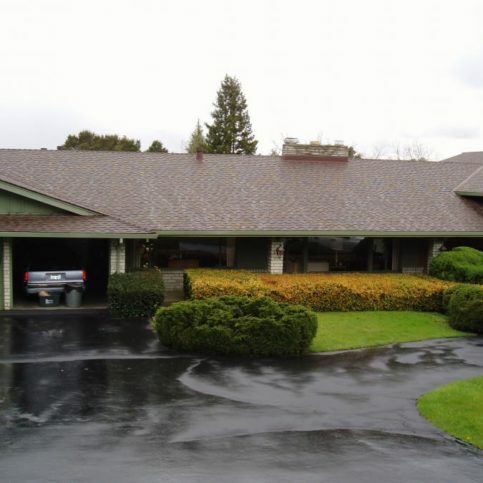 Roll roofing is a composition asphalt roofing and felt product manufactured in roll form. Roofing contractors install roll roofing by laying it in overlapping strips over the surface of the roof. Roof decking is thick lumber installed over the roof trusses and under the roof shingles or roof system. Roof deck provides the strength of the roof. Roof vents provide air flow into a home’s attic or space beneath the roof. Roof vent caps are useful to keep debris and water out of the roof vents. 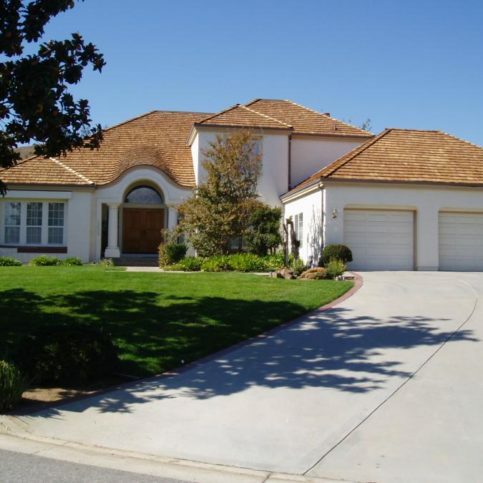 Self sealing shingles are made with thermal sealing cement that firmly seals the shingles together automatically after they have been set properly and warmed by the sun. In warm seasons, the self-seal will be set in a few days. In colder seasons, sealing time depends on the air temperature and the heat of the direct sunlight hitting the shingles. Many roofing contractors manually seal self-sealing shingle roofs that are constructed in winter to assure a firm seal. Roof shingles are overlapping pieces set on a roof to protect it from the elements. Roof shingles are commonly made of wood, slate, asbestos cement, bitumen, asphalt or ceramic material. 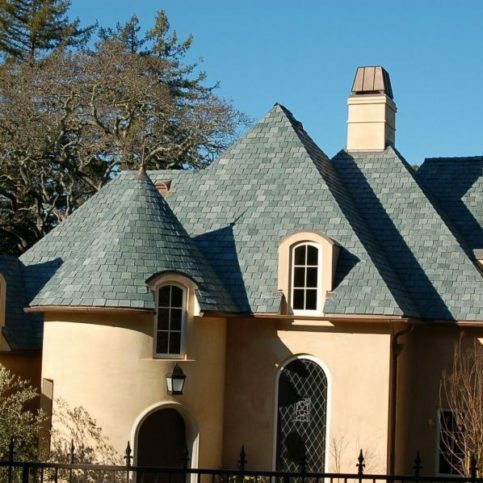 Roofing tiles and shingles made of slate rock are known as slate roofing. 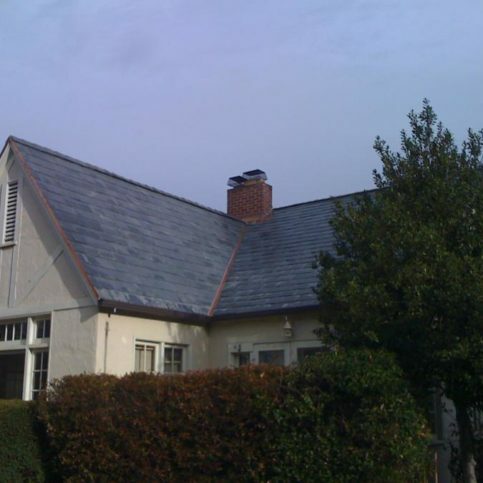 Slate roofs are durable, fireproof, weather resistant and unique. 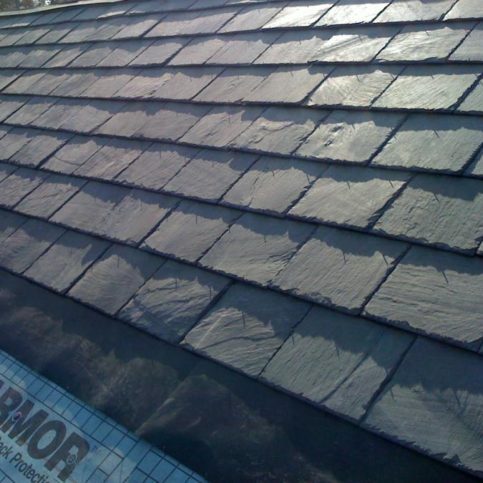 Synthetic slate roofing materials are also available. These synthetic slate shingles are lighter, easier to install and less expensive than genuine slate roofing. The exposed, finished underside of overhanging roof eaves. The soffit bridges the space between the siding and the roofline. Soffit can be vented to cool the attic space. Roof panels, tiles and shingles with photovoltaic cells built in generate electricity much like traditional solar panels. 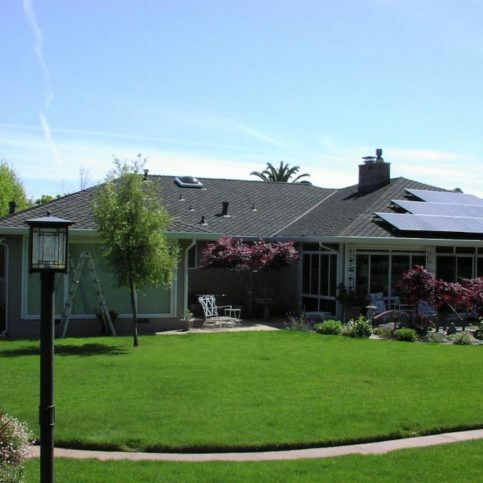 Some solar roof shingles look just like asphalt shingles and are nailed directly onto the roof surface. Standing seam metal roofing is a method of installing metal roof panels vertically and side-by-side. On standing seam roofs, the roofing panels are attached at the sides with the overlapping area forming a seam between the roof panels. Standing seam roof panels are most commonly installed on commercial and industrial buildings, and are used to bring a modern look to residential roofing. TPO or thermoplastic polyolefin roofing is a single-ply roofing membrane that is a heat-reflective and energy efficient roofing system. Roof trusses are used in roof construction. They support the weight of the roof framing and roof deck. Q: Why choose a Diamond Certified Roofing Contractor? A: Diamond Certified helps you choose a roofer with confidence by offering a list of top-rated local companies who have passed the country’s most in-depth rating process. Only local roofing companies rated Highest in Quality earn the prestigious Diamond Certified award. Most local roofers can’t pass the ratings. American Ratings Corporation also monitors every Diamond Certified company with in-depth and ongoing research and ratings. And your purchase is backed by the Diamond Certified Performance Guarantee. So you’ll feel confident choosing a Diamond Certified roofing company. Q: Do I know if I need a new roof or roof repairs? A: Good roofing contractors will inspect your roof and help you decide whether roofing repairs or a new roof is the best solution. Smaller areas of damage and minor leaks may be fixed with simple roof repairs. Extensive missing or damaged shingles, rotting roof boards, high energy bills, water stains on interior ceilings and walls or large roof leaks may indicate that a roof replacement is needed. Q: What roofing materials can I choose from? Asphalt shingles are a common choice for new roofs. They are reasonably priced, range from simple three-tab shingles to durable architectural shingles, come in many colors and types and are easy to repair. Asphalt shingles have a shorter lifespan (about 15 to 30 years) and aren’t as environmentally-friendly as some other roofing material choices. 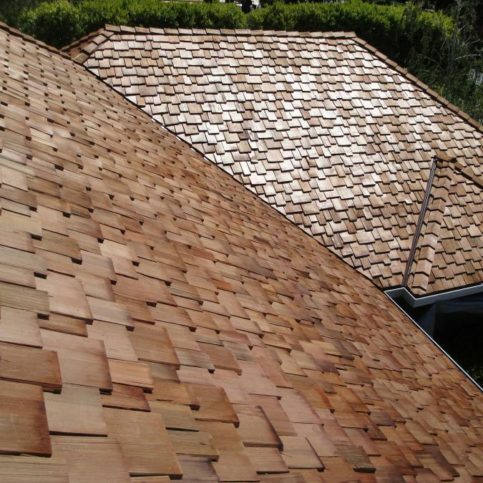 Wood shingles and wood shake roofing are usually made from cedar wood. They often blend in with a natural environment, weather to an attractive grey color and are easy to repair and replace. 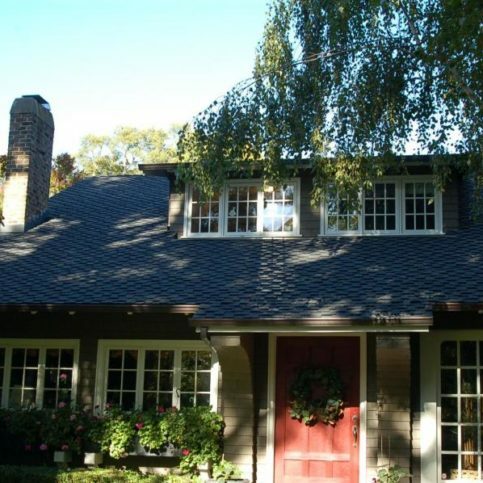 Wood shingle roofing can last 30 to 50 years if it’s maintained properly. 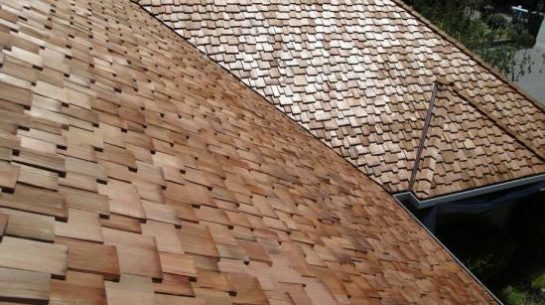 However, wood shingle and shake roofing can be expensive ton install and requires more maintenance than other types of roofing. 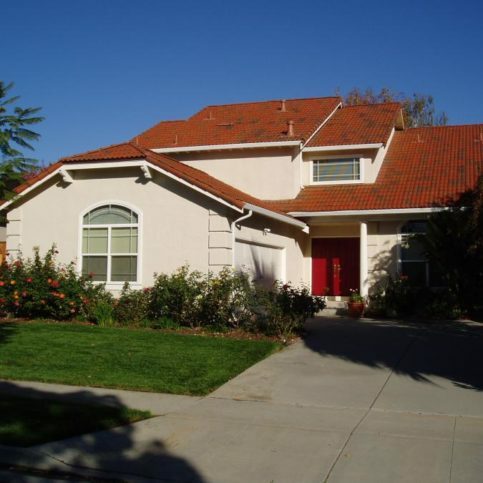 Tile roofing is a popular choice for new roofs because it is durable and attractive. 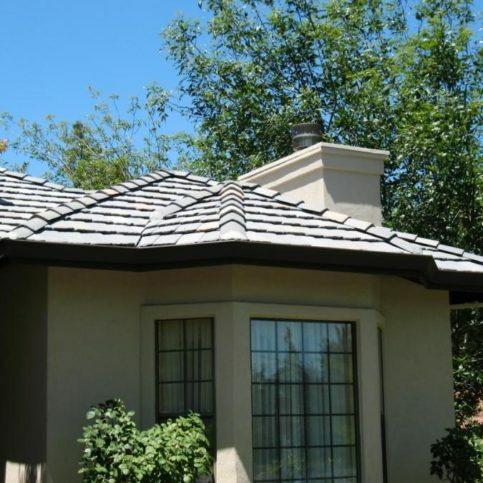 Roof tiles can be made from concrete or clay and come in several colors and styles. Tile roofing is easy to maintain, fireproof and very durable. 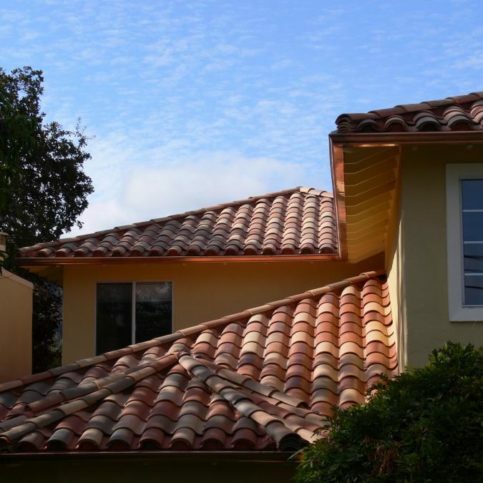 Tile roofing can be expensive, heavy and is generally a better choice for new homes because of the structural requirements due to the weight of the material. Tile roofing can also be fragile and repairs can be complicated. Metal roofing, including copper roofs, steel roofing, aluminum roofing and tin roofs, is becoming a more common choice. While it can be expensive to install, metal roofing is very durable and will outlast other roofing materials. It is lightweight, comes in many colors and has a long lifespan—at least 50 years in most cases. 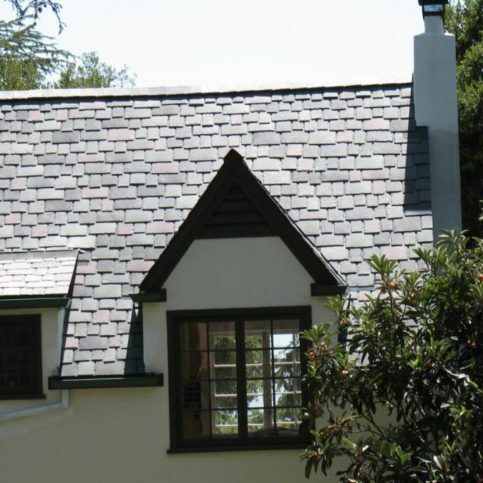 Slate roofing is a beautiful and unique choice. It is fireproof, low maintenance and lasts years longer than other roofing materials. However, slate roofing can be expensive, require specialized installation, and require more maintenance than other types of roofing. Q: How do I know which type of roof is the best choice for my home? A: Each home is different, just like the needs of the homeowners. Your roofing company can help you choose the best roofing material and roof style for your home, your budget and your unique wishes. Q: How long will it take to re-roof my house? A: Roof replacement can take a few days to several weeks depending on the size of the home and the roofing materials used. Weather and the skill and experience of the roofing contractors can also have an impact on the speed of the re-roofing process. 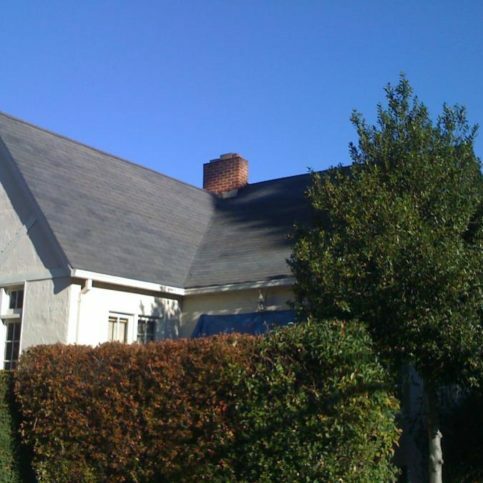 Q: Should I choose tear-off re-roofing or a roof-over roof construction? A: Some roofing contractors will install a new roof on top of your existing roof, known as a roof-over or roof overlay. 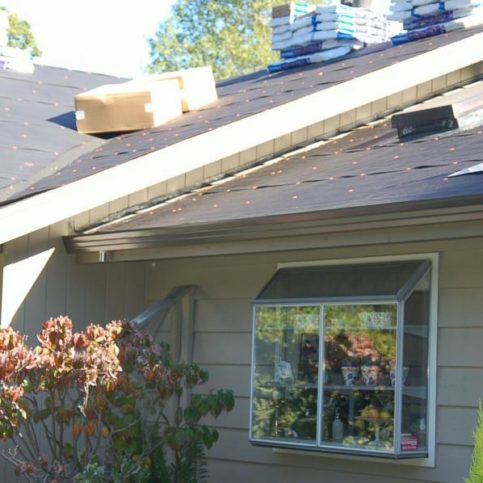 This can save some money on the roofing project since there are no costs for roof removal. However, other roofing companies recommend removing the old roof before installing the new roofing material, known as tear-off reroofing, for a better quality roofing job. Talk with your local roofer in detail about your specific reroofing needs. Q: Are there eco-friendly roofing materials and methods I can choose from? A: Yes. A new roof with good insulation can make your home more energy efficient and keep it more comfortable. 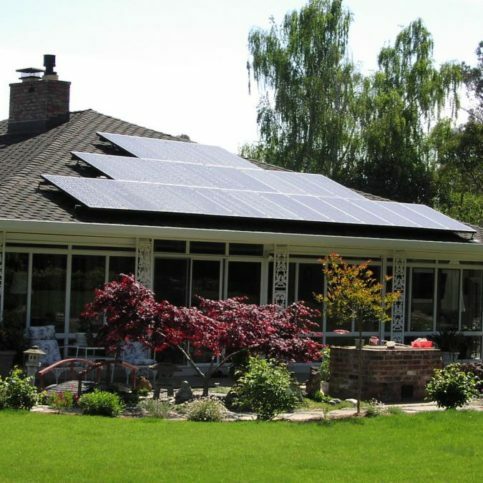 There are also several ways to make your roof installation more eco-friendly. 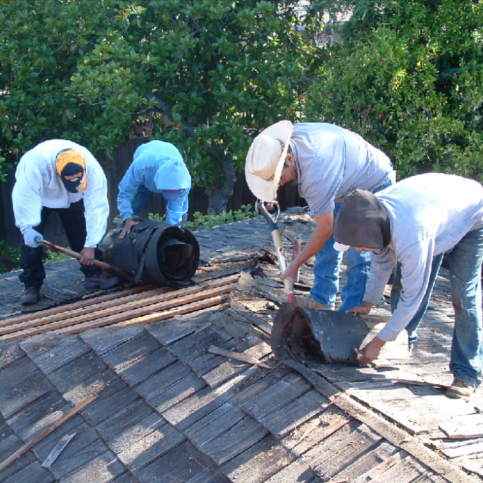 First, find out if your roofing contractor can recycle old roofing materials. Some roofing contractors dispose of old roofing shingles and materials in a more environmentally-sensitive way. It’s also possible to choose eco-friendly roofing materials for your new roof. From green roofs (roofs that are partially or completely covered with vegetation) and environmentally-friendly composite shake roof shingles to recycled shingles and metal roofing, there are many environmentally-friendly roofing options your roofer can offer. Q: What happens if someone gets hurt while working on my roof? A: When you hire legitimate roofing contractors with the correct license, liability coverage and workers’ compensation insurance, you won’t have to worry. Workers’ compensation insurance covers every employee of the company in the case of accident or injury. You will not be held responsible for damages. Make sure you ask your roofing contractor to show you a copy of their active workers’ compensation policy. All Diamond Certified roofers have had to prove they are licenses and carry worker’s compensation insurance in order to pass the Diamond Certified ratings process.